In honour of my own bachelorette party happening next weekend! EEK! 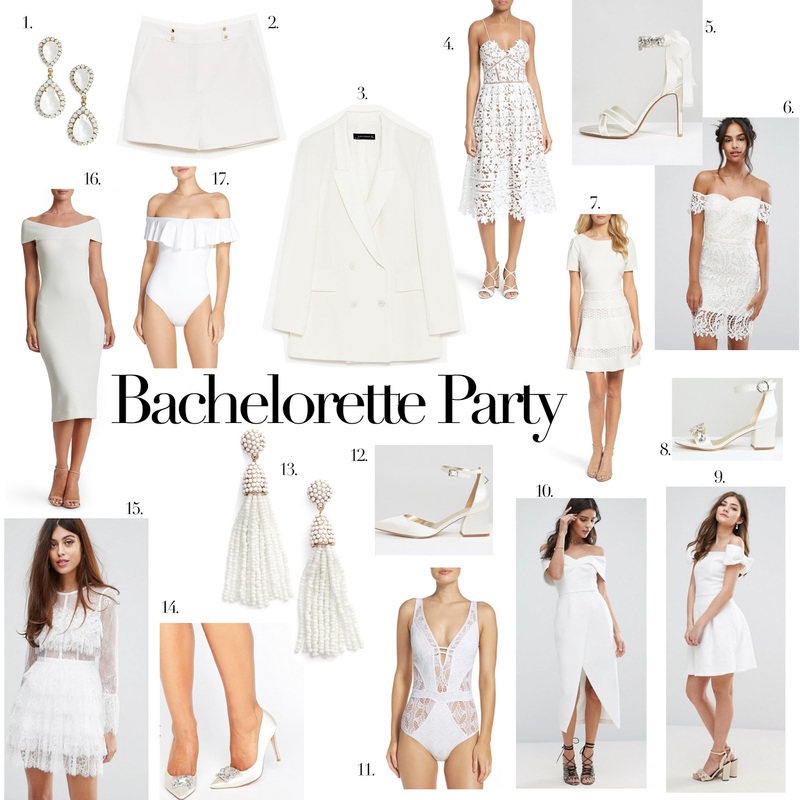 I thought I’d share a few different ideas for your all white bachelorette looks. I haven’t totally decided what I’m going to go with yet, but I do know it will be all white. I picked up the blazer and white shorts the other day from Zara thinking I might want to do something other than my usual dress ensemble. As much as I love the combo, when it comes down to it, I have a feeling I’ll go with a dress. Who knows! Follow along on Instagram (@aandreaclare) to see a few bits and pieces of the weekend. If you saw my recent WEDDING VIDEO, you would know that it’s taking place in Las Vegas – so it’s going to be wild! And hopefully not too embarrassing…. Great place, wonderful food with modern ambiance and comfortable seating with plenty of room. It is now probably one of the best venue NYC in my list. Perfect food, great decor and vibrant atmosphere.